So Lonely in Gorgeous: Ramen, Dayquil, & False Eyelashes! I'm home sick today with a cold. Must have caught it yesterday while commuting on the train (the perils of public transportation). 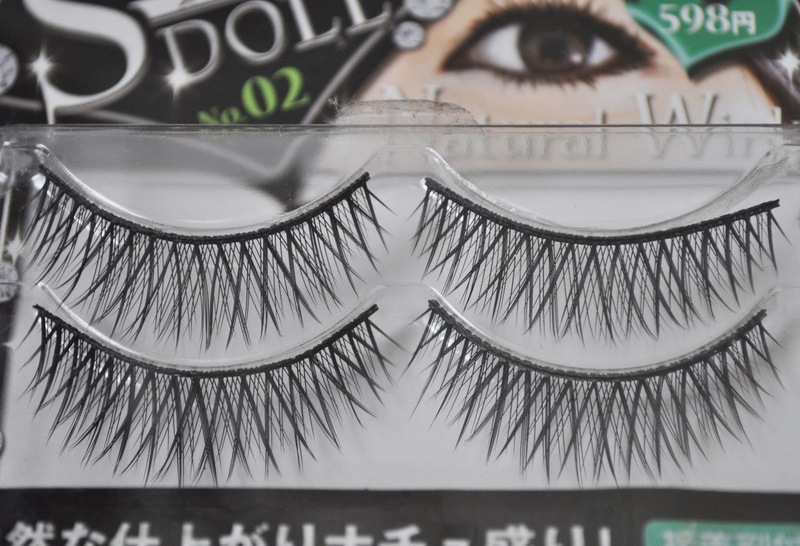 Anyway, my friend Aiko dropped by with some cans of Campbell soup and falsies...bless her! 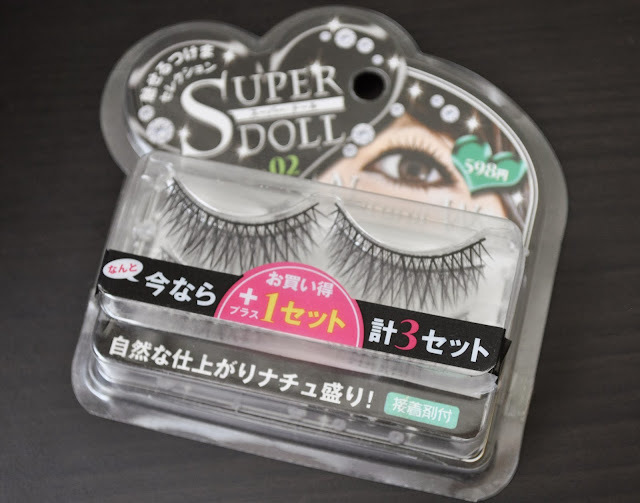 This set of Super Doll falsies comes with 3 pairs of lashes. Although the band is a lot wider than I prefer (I rarely use false lashes on myself), it can be remedied with a thicker eyeliner application. Going to crawl back into bed now, and try to get as much rest as possible for tomorrow's job.